Condensation is a problem that affects any home or building. It can leave mould and if untreated can cause damage to the building, as well as causing a health problem to the occupants. All air contains water vapour to a greater or lesser degree. The amount of moisture contained in the air varies depending on the temperature of the air. Warmer air can hold more water than cold air which leads to humidity. When this warm moisture rich air comes into contact with a cold surface or cold air, the warm air cools and in doing so is unable to retain all the water vapour in the air. This excess moisture is then released as water which becomes condensation. Condensation is most noticeable where it forms on windows or other non absorbent surfaces, but it can form on any surface. In these situations it might only be noticed by the signs of discolouration and mould, or material damage, like rotting or distortion occurs. Condensation is a result of moisture within the air and can be caused by a number of normal activities within the home. It is typical that many cases of condensation are only observed in the Winter time. This is when most home activities are carried out inside the property with extra reliance on the heating system but without extra ventilation. There are structural issues which can also cause and contribute to condensation issues. Moisture can be drawn from the structure of the building into the interior, for example, from below the floor or through the walls and ceiling. This can be particularly prevalent in flats due to occupation above and below, but it can also be because the method of construction or structural failures have caused moisture content throughout to be high. Some properties, particularly older ones, may not have a damp proof course, which acts to prevent soil moisture from rising upwards into the property above. Equally, the existing damp proof course may have been damaged, compromised or blocked. Other causes include lack of adequate ventilation below the floor level, or where the cavity gap has been bridged in cavity walls, or even to damaged roofing and guttering. Condensation is caused from too much moisture in the air. Traditional construction in the UK led to homes and properties having a high level of natural ventilation in the property. Due to the materials used and the lack of insulation used in the construction process of the time there was a good level of air flow through a property from inside to outside. Although this is bad for maintaining the ambient temperature and heating a property, it is good for helping the moist air escape and dry out. As building standards have changed and more regulations are in place concerning insulation, properties have become more effectively and efficiently ‘sealed’. Where before there may have been natural draughts these have been reduced by the use of draught excluders, carpets, double glazing, wall insulation, and trends to remove or seal open fires. Homes have become much more energy efficient, but in doing so have helped to seal in the moist air and prevent natural ventilation. • Poorly considered in modern properties. To be effective ventilation has to encompass the whole building. As there are so many possible causes of condensation within a property it is wise to seek expert advice and reports on the problem, it’s cause and how to rectify the problem. 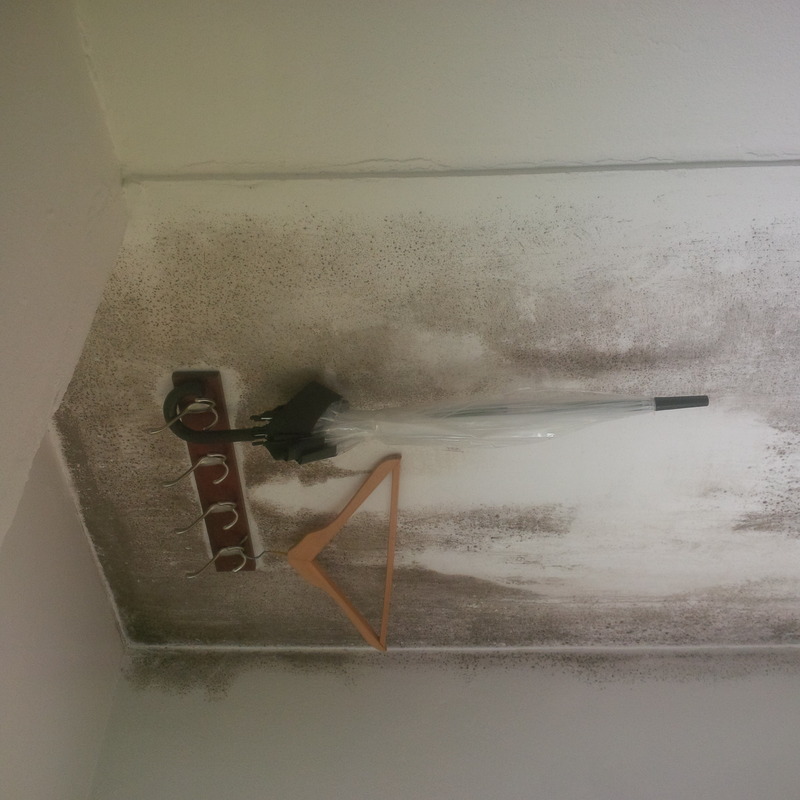 Sometimes it is easy to suspect that the problem is caused by a particular reason and spend a lot of time and money rectifying it, just to find that the condensation problem remains. • Cavity Walls: Ensure that the cavity is clear of obstruction and that there is no bridging. • Air Bricks and Ducts: Ensure that any existing air bricks are clear and unobstructed. • Roof and Guttering: Ensure that the roof is sound and that it is not leaking into the structure. • Check the guttering is clear and carrying water away. Ensure that it is not leaking onto the brickwork. • Floors: With solid floors check to ensure there is no damp coming through. With suspended floors ensure there is adequate ventilation beneath the floor with air bricks. • Pipes and Tanks: Ensure that any water pipes or tanks are not leaking. • Bathing: After bathing ventilate the room. Try opening a window. Look into humidity controlled extraction fans. • Washing/Drying Clothes: Do not dry clothes on radiators. Instead dry clothes outside or in cooler rooms of the building. Ensure the area is ventilated. • Extractor fans: Ensure the high moisture process areas, ie bathrooms and kitchen, are fitted with extractor fans, preferably humidity controlled. There are many factors that can affect condensation levels in a property. They range from simple user usage to issues with the building structure. 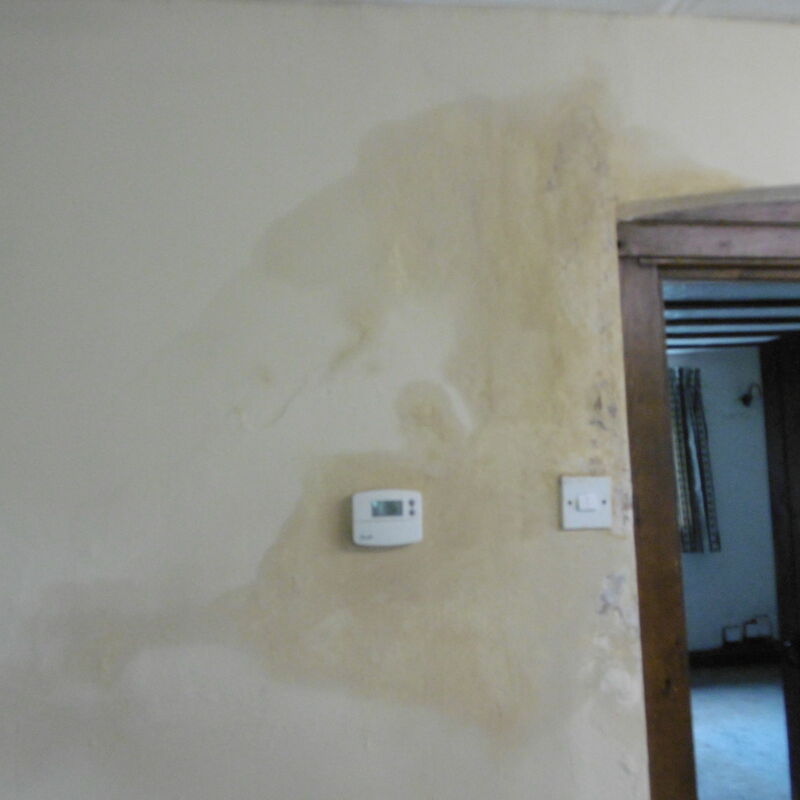 At best condensation is a nuisance, at worst it can lead to issues with the fabric of the property and potential to the health of the occupiers. If in doubt, seek professional advice and have a report done on the property.